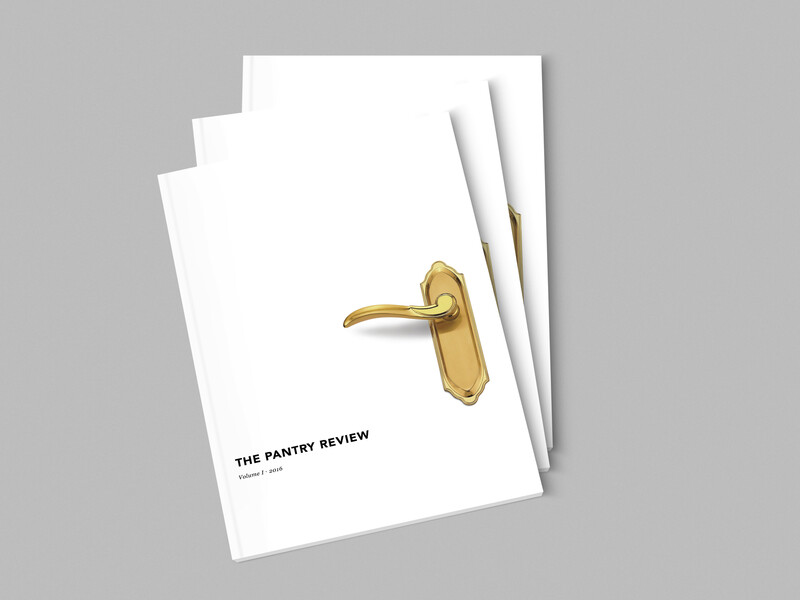 The Pantry Review showcases personal pantry products and puts them in perspective with positive and negative product reviews. The aim of this publication is to create an entertaining read, bringing humor though the staged generic food photography, and showcasing what a variety of people think about common pantry products. 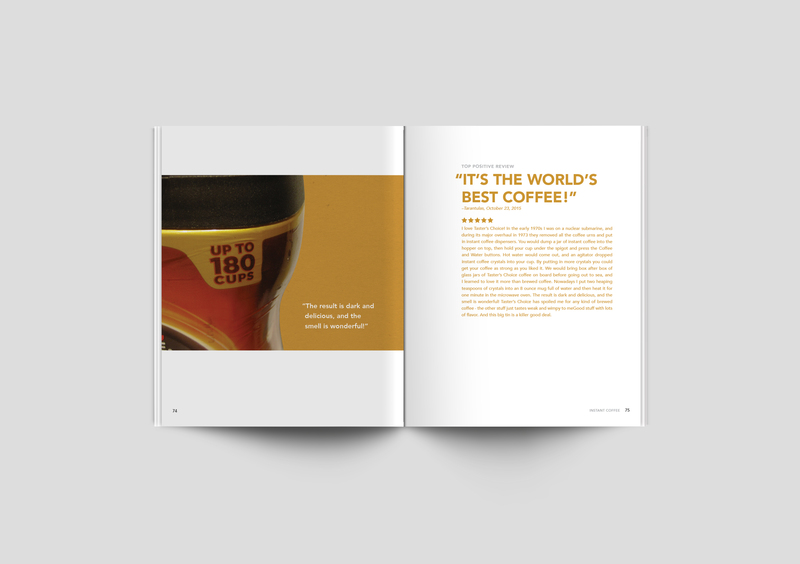 This 140-page publication alphabetizes the products and divides them up into a spread of product information and manufacturer claims, followed by 1-3 spreads of customer reviews, with occasional macro photography of the foods. The goal of this publication was to create a contrast between the “manufacturer information” spread, a more serious, plain design, and the “review spread(s),” a more fun, bold, and personalized design with more “gritty” photography.